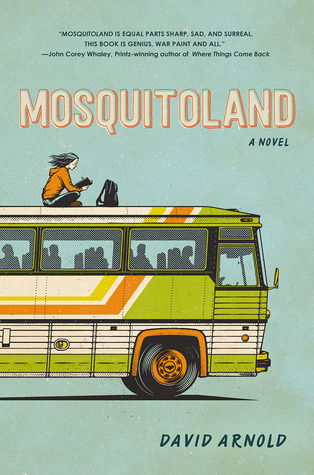 Today on the blog I am very excited to be the next stop on the MOSQUITOLAND blog tour. Author David Arnold has stopped by to share a behind the scenes look at his life before writing became his Main Thing. Recently I discovered his music and fell in love with the sound. There's a melody to his craft that begs to be heard, a lot like his storytelling. Please welcome David to the blog! For years, music was my Main Thing. When I wasn’t playing shows with my band, I was writing/recording in my home studio, building songs from the ground up. I did a lot of freelance work for indie films, youth camp videos, even a few commercials. It was my creative outlet, and, I assumed, my life’s work. In short: things were going swimmingly. Shortly after my wife and I discovered we were going to have a baby, it was decided I would be a stay-at-home dad, and guess what you can’t do while taking care of an infant? Bye-bye recording. Hello diapers. Hello burp rags and bottles. Hello Elmo and Sophie the Giraffe and all things elephant. Hello new appreciation for those glorious few hours called NAPTIME. Prior to the little game changer, I had tried my hand at various forms of creative writing. I wrote some short stories, some screenplays, even a few picture books. I joined SCBWI (Society of Children’s Book Writers and Illustrators) who taught me that one couldn’t have multiple subplots and an ensemble cast of characters in one’s picture books. I shifted to middle grade, but those manuscripts always took a back seat to my music. So when the music suddenly got tossed out the window, I channeled all my creative energy into writing a novel I’d been too afraid to start. 2. Companion record. I wrote and recorded nine songs, then released them on my music website (cinemacycle.bandcamp.com) as a companion album to Mosquitoland and my second novel (still a work in progress). Some of the songs were recorded a long time ago, but contained ideas or lyrics that somehow made their way into my novels on the front end. Others were recorded after we discovered a baby was on the way, but before he got here, and some were recorded after he arrived, late at night when the house was quiet. The record happened organically, which is to say, I never set out to write a companion record. But it was almost impossible not to write songs that were at least partially inspired by these characters I was spending so much time with. 3. Education. Of the three ways music influenced my writing, this is by far the most important. In the acknowledgments section of my book, I thank Elliott Smith for teaching me that “an honest voice is more compelling than a pretty one.” In my opinion, too many artists set out to create something perfect. But that’s not art. Whether it’s a song, or a painting, or a book, art should reflect something inside the artist, something human. It should get messy when things are messy, lift you up when things are good, reflect beauty and joy and tragedy when things are beautiful, joyful, tragic. I think there is inherent value in such complexity, while striving to create some technically perfect product negates that value. It’s a process, and I’m still learning, but the origin of my education is rooted in music. And while I rarely record these days, this application of honesty in art is something I’ve tried to carry into my novels. Music may no longer be my Main Thing, but it is still a Thing, and I have every intention of getting back to it one day. Though probably when there are fewer diapers and elephants. About the book: "I am a collection of oddities, a circus of neurons and electrons: my heart is the ringmaster, my soul is the trapeze artist, and the world is my audience. It sounds strange because it is, and it is, because I am strange." About the author: Hi. I'm David. Good morning! There is a lot of love going to Arnold for this book, but the "war paint" and "Cherokee" parts of it are troubling. Here's an Open Letter I wrote to Mr. Arnold this morning. 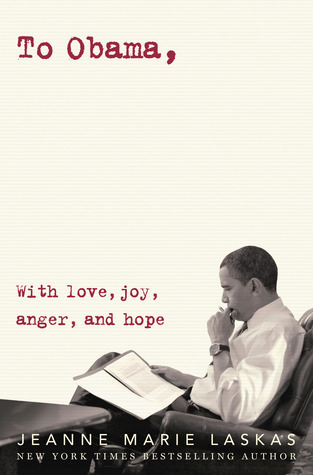 I have heard nothing but wonderful things about this book. I love when a contemporary read takes a topic that so many of us are familiar with, either personally or with loved ones, and explores it with a fresh, honest take. Looking forward to this one for sure! I adore this book! And I'm glad I read your post - I had no idea there was a companion record. I'm so excited to listen!